The dogs sense him on the opposite side of the door and come howling, alerting the family to the creature’s presence. The mother looks up from her soup pot and the boy from his artwork, their senses enlivened by the scamper of paws. The doorknob wiggles and turns. The door was left unlocked. The creature stumbles in and pierces the air with a wail as the dogs dig their claws through his tattered work pants. The family winces. Undead dad drops his bag at the door and removes his coat. He grunts a hello to the mother and boy, before trudging upstairs. He brings his ipad with him, and exchanges the deadening mess of work for the glowing screen of webpages and emails. He gets stuck halfway up the stairs, engrossed in a facebook post by another member of the undead. He eventually disentangles himself and rips off his clothes to replace them with a pair of ripped pajama pants and a t-shirt with holes in the armpits. The creature staggers down the steps, in search of food. The zombie’s head stoops toward his food bowl. Silence pervades the dinner table as the mother and son eat quietly and exchange looks. After dinner, the mother picks up the son and puts on an old Beastie Boys song. The two bounce around the kitchen as the song reverberates from the marble tile and stainless refrigerator. Undead dad grunts out a chuckle, but remains on the chair, unable to muster the gusto to dance with the mom and her pop-locking five-year-old. At the boy’s bedtime, the creature is in charge of reading to the boy. He reads the first two pages like a normal human being, as though literature has sparked some memory of his old self, his old passions, and he is able to infuse the text with a multitude of voices and even a few sound effects. In spite of his best efforts, he cannot sustain his radio play. The reading drains him. By the third pages his words slur and he stops abruptly, as though his neural pathways have shriveled mid-connection. His son delivers an irritated jab and the creature is stirred, but the pattern is repeated across the many pages of bears, bunnies, and woods. Later the undead man and his wife share the couch, watching some favorite reality show. The cushions lull the undead dad and the cognitive blurring evidenced during the storybook is relived with the wife. After several bouts of his snoring, she orders him to bed, and his brain pulls his body upstairs to a cold bed. This is the undead dad. He is a zombie to the world at home. He’s there, but not quite there. His family is conflicted; they’re happy to have him home after a long absence at work, but annoyed by his stumbling, slurring, and sleeping. Undead dad is me. I wake up early most mornings so that I can get work done and come home before the early evening rush. Even though I carve out the time to be home, I’m exhausted by the end of the day. I feel as though work has culled every ounce of life from my body and brain, leaving nothing for my life at home. I realize the pattern and fight it as best I can, but I feel like some creature whose brain isn’t under his control. My mind searches out food and sleep without noticing the people around me or the effect I have on them. When I wake up to the effect I have on my family, I’m too exhausted to do anything. I see opportunities to laugh, to play, to dance, to be engaged, but my mind won’t let me go there. It is clouded with a seemingly impenetrable haze of sleep and exhaustion and hunger. I am sick of being this person. My family is sick of me being this person. This is the impetus for the blog. Although I find it important to avoid defining oneself by the absence of some attribute or trait, it’s a starting point. That’s where this blog begins. I am sure my experience resonates with many dads. They see what they’ve become, and know they don’t want to be that. They see the potential for a more engaged life, but too much seems to get in the way. This is where this blog begins. It’s a discussion of the fight against the brainless, soul-sucking experience of the undead dad. The fight against the devastation taking place in his brain and body, and the fight against the haze he casts on those in his life. This blog is an opportunity to talk about my particular fight against that person. It’s a chance to talk about ways of engaging in mindful fatherhood. I’m certain that many mothers out there might experience their lives in much the same way I do. In many ways, this blog could be about mindful parenting. My particular experience happens to be that of a father, and so I speak in particular to the dads out there, although it’s my hope that this blog can translate to parenting by anyone: fathers, mothers, grandparents, and guardians. I will be writing about my own struggles to avoid becoming an undead dad, and the creation of opportunities to become a more engaged parent. I will reflect on my own experiences of deadened parents, notice the times that the undead dad is taking over, expand on the times that I can learn to be mindful of my family, my son, my wife, and myself. I’ll write about my frustration with technology: its benefits for connection and its alluring siren song of distraction and disconnection. I will also write about mediation and mindfulness and its role in fighting against my undead status. Thank you for taking the time to read, and I hope this blog resonates with some. I also hope that others will leave comments and post their own stories so that we can rise up together against the zombie scourge of deadness. Thank your for stopping by my blog. I’ve just been enjoying reading some of your posts after seeing your writing on Freshly Pressed. I empathize with your struggle authentic engagement, and how this can feel so hampered by the structure and demands of contemporary society. The more people start to reflect and change the way they act, as you are doing, and to share this mindfulness with others, the more chance we have of building a world which doesn’t make people feel like zombies. Good luck with your writing. I’m really happy I found your blog page. I’m nominating it and you for the Sunshine Blogger Award. No gold statue, just the admiration of one blogger to the other. Check out my post on my page for all the details. Congratulations and great job! Jhubner! I was reviewing old posts/comments, and saw this! I feel like a douche. Also realized I haven’t bought your album on-line yet. Double douche. I’ve got the day off of work, and am catching up, and will get over to your website today! Thanks, man. Hey CJ! No worries man. Undead dads have a lot on their plates. I occasionally fall under the reanimated category from time to time, so I understand. Hope all is well. You have the day off(as do I), so that’s a plus! I’m not even a dad, but this blog is hilarious, awesome, and completely original. This is great stuff, keep up the good work. 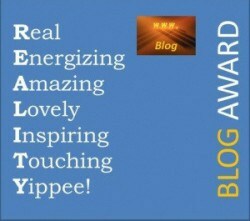 CJ, I join a lot of others here in having nominated you for some blog awards. I’ve messed up the rules for them all already, so don’t feel obligated to go through all the homework that comes with the awards if you don’t want to. I’d hate for that to get in the way of your normal blogging routine. Anyway, the point is, I really appreciate the work you are doing here, and wanted to share it with others. Keep up the great work! Snoozing, What an honor! Honestly, I take my notes from you, and am always amazed to see your other published works on-line (which I swear I’ll get to one of these days!). It’s inspiring to see how prolific a dad can be! Thanks so much for the nomination. I will certainly get to it, even if it takes me a while. Thanks for being a part of my community. I really appreciate the support and feedback. I wish I could share the secret to being an engaged dad and a productive writer, but I’m sure I haven’t learned it yet. You just hope the whirlwind takes you in the right directions. Thanks so much, Allison. I’m really honored! I’m honored! Thanks so much for following! Is is fantastic that you were able to admit that these things in yourself and in your life needed to be changed. Many people can see them, but not everyone can admit to them. I commend you for your endeavors in becoming a better parent and husband. Thanks mewhoami! I really appreciate your kind words. Fatherhood brings out the best and worst of me. Without recognizing the worst, I’d never have an opportunty to grow. Feel free to pass, or to follow through on the rules (in the post). Thank you so much for the recognition! I really appreciate it. Unfortunately, I’ve come to a point in my blogging where I can barely churn out posts, and so I have not found the time to pay forward the honor of these awards. Thanks, and happy blogging!